Take heart, leave the dating sites behind and prepare to meet your perfect dinner companion! 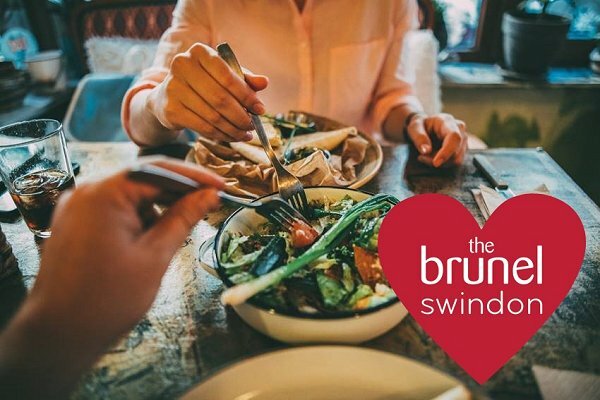 As part of Love Revolution at The Brunel Swindon, Small Plate Speed Date is perfect for anyone who likes eating out and enjoying new experiences, taking place on 14th & 15th February from 7pm. 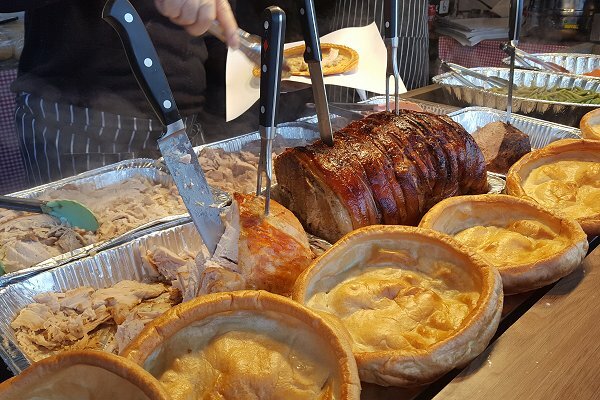 During the evening you’ll have the opportunity to meet and chat over a selection of sharer food, lovingly prepared by the restaurateurs at The Crossing whilst enjoying live entertainment. 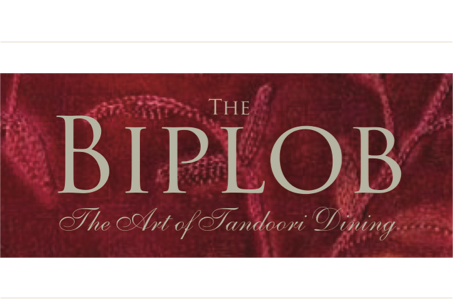 Tickets are £15pp and include all dates, 10 small plates and entertainment. To book please contact The Brunel on 01793 525 857 or visit Centre Management Office, Upper level of The Plaza, adjacent to Crystals. Spaces are limited, so be quick! New Year, New Waffle Shop! Newly transformed pub adds a new twist! 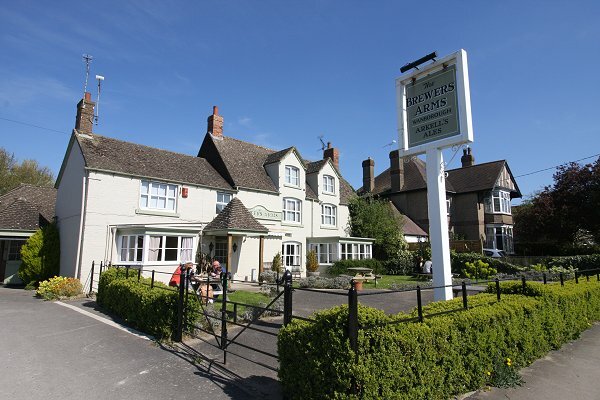 Totally refurbished in late 2017, The Brewers Arms in Wanborough have now converted their former front bar in to a coffee & waffle shop. It will now be serving coffees, waffles, ice creams and homemade smoothies 7 days a week! Opening on Monday 22 January. See their new website for full details. That's What I Call A Yorkie! Swindon goes crazy for Yorkshire Pudding Wraps at the Outlet! With a reach of 140,000 on our EAT Swindon Facebook and rising - and over 2,000 comments & 750 likes - these pictures we posted of some new street food in Swindon has certainly got everyone drooling - and wanting one! 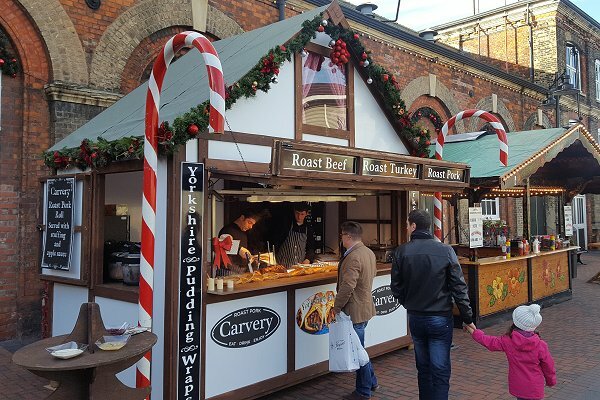 Yorkshire Pudding Wraps - essentially Sunday Lunch in a Yorkshire pudding wrap - are available at the Swindon Designer Outlet until 24 December with beef, turkey or pork, as part of their food offer for hungry Christmas shoppers. If all our followers turn up at the same time, join the queue!! 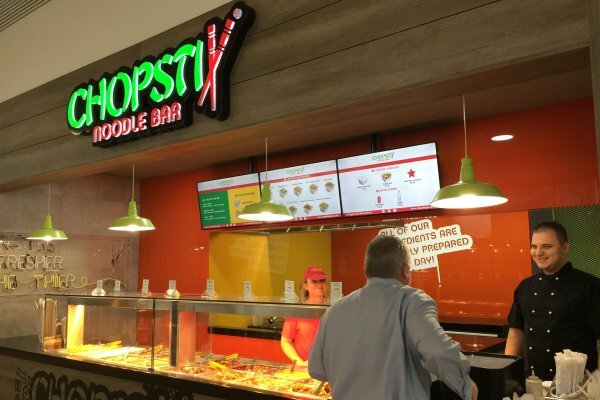 Chopstix Noodle Bar is set to open at The Crossing at The Brunel Swindon on Friday, 24 November. They join Eggelicious, Tastes of Portugal, Desserts & More & McTaffs Cakes & Tearoom at the fast-expanding place to eat & relax in the town centre, with Triple2 Coffee coming soon. > The Crossing - more info. The Crossing, the new food hub at The Brunel Shopping Centre, is really coming together. 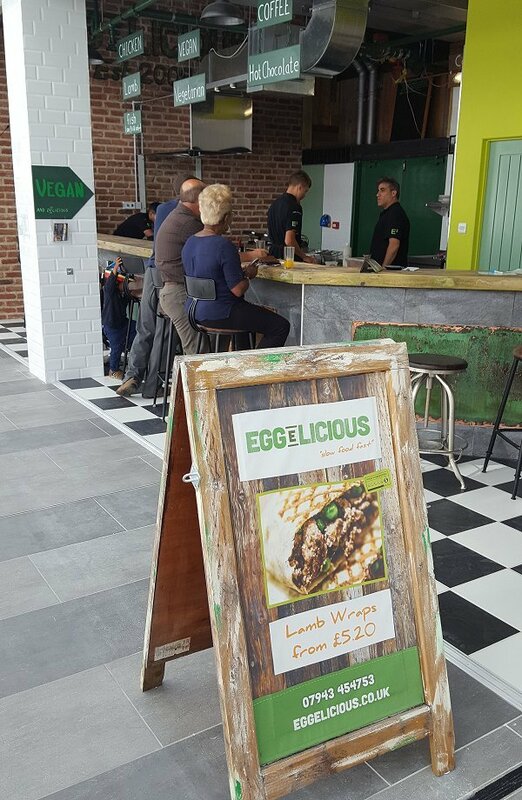 One of the first to move in, Eggelicious, is already very busy serving its popular mix of vegan, gluten-free & vegetarian wraps tapas, fish & plated specials. And now three more independent local businesses are joining them. First to open will be Tastes of Portugal, who are expanding from their first shop in the old tented market. Run by business owner Isabel Simoes, Tastes of Portugal will offer the Portuguese groceries for which they are already well known together with a delicatessen counter with imported cheese and meats, plus Portuguese wines and beers. They will also serve hot food, hog roasts and pastries. 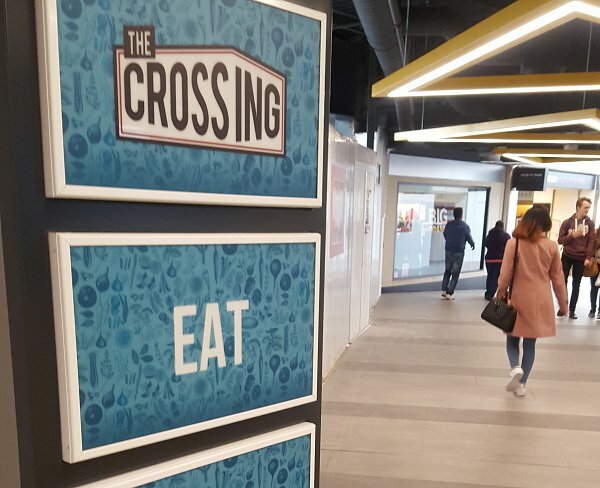 From savoury to sweet..... Sweets Galore, who have has been established in The Brunel shopping centre for ten years, have also decided The Crossing is the perfect opportunity to open their new concept dessert and ice-cream parlour serving entirely desserts and shakes. Adding to that, Triple Two Coffee, which opened in The Brunel centre in August 2016, has been so successful the owners have decided to open an additional unit within The Crossing too. All hope to start serving in late October/early November coinciding with the opening of the new escalator linking Canal Walk up to The Crossing which is near completion. The Crossing is targeted at the day-time, quick service food sector, providing trade from breakfast through to early evening. Its offering sits perfectly within the existing, successful restaurant and food offering in the town centre – Regents Circus and Swindon Outlet. 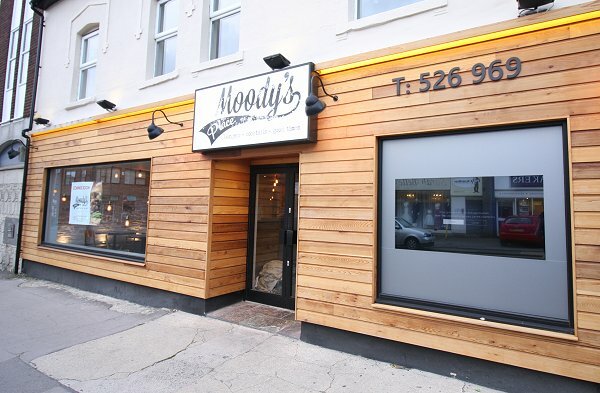 Fans of Moody Burgers in Bridge Street will be pleased to know that Moody's Place will officially open on Friday, 29th September. Located in what was the short-lived Mok's Street Food & Grill in Commercial Road, the new venture promises burgers, loaded fries & sides, classic cocktails and a unique atmosphere. Looking forward to it! Well, the first thing that's most definitely NEW is..... this website! Your complete guide to eating out & takeaway in Swindon. If there's one thing we do know, the people of Swindon love their food - and especially when someone else if making it! 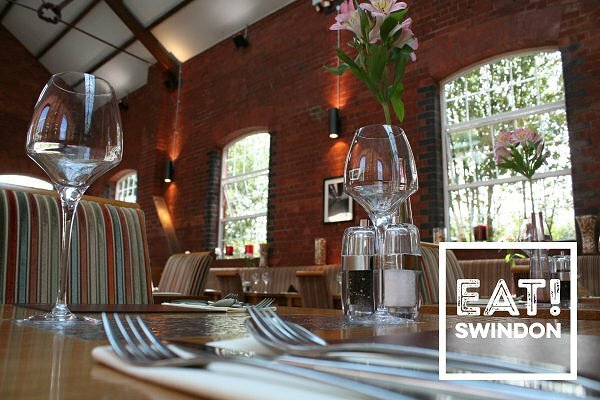 So whether it's places to eat out, where to grab a takeaway or who delivers to your door in Swindon, you'll find exactly what you want right here on EAT Swindon. You can keep up-to-date with us everyday too on our social feeds, where we'll be posting photos, recommendations, offers & what's new on the food front here in Swindon and roundabout.